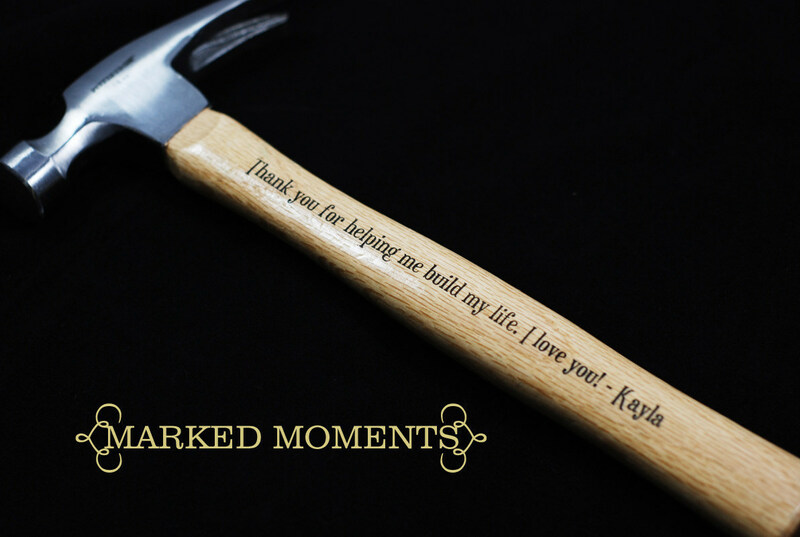 Engraving ash wood-handled hammers is among the jobs Marked Moments Keepsakes does. Calling itself a small, family-run business started by Ela and Travis near Austin, Texas, makes engraved gifts for special occasions such as weddings, birthdays, graduations and - for Father's Day - they have a hammer. But it's never that simple. There's a rule about tools: you really don't loan them, and even asking to borrow one is something you shouldn't do without a good deal of aforethought. My own son asked to use my variable speed drill when he moved into a new apartment. Reluctantly I let him have it. And I didn't see it again for six months. That caused a lot of grumbling on my side. So perhaps for Father's Day he'll see this article and, who knows? A nice 16-oz. 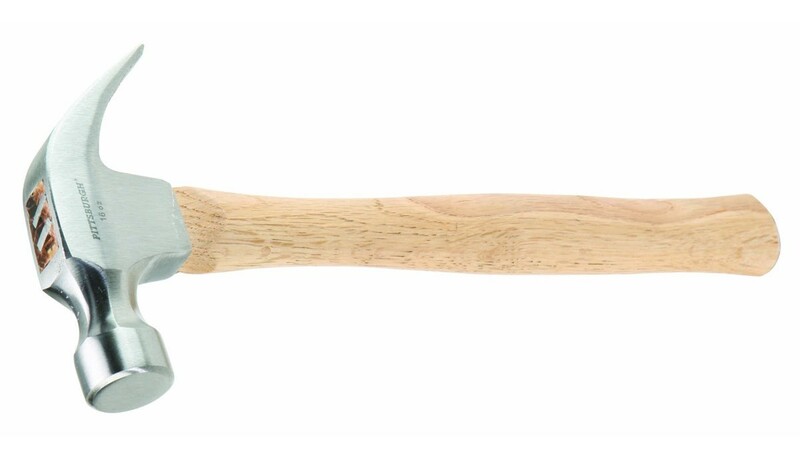 hammer with classic claw-style head and a natural ash wood handle that's good for engraving. I wouldn't mind getting that. Of course, after a little research, I learned it's from Harbor Freight, which means it's likely imported, and I'm guessing from Asia. Hmmm....human trafficking and slavery involved in a hammer. Reassuring? or disturbing? This is what life has come to: worrying about such matters on a low tech item like a hammer. (Of course, hammers aren't really low tech - the awesome hammers are ergonomically engineered and each adapted specifically to its purpose. But the engraving part is nice. Available in single- or double-sided engravings, the hammer can be customized with a name, a monogram, a personal message. Each side can fit around 13 words in one line: "My Dad went to the Woodworking Show and all I got was this hammer." That's available in 11 different fonts. "Thank you for helping us build our lives", "Building a life together since 2008" and "If Grandpa can't fix it, no one can!" "We love to put a smile on our customers' faces, and we proudly stand by our 100-percent satisfaction guarantee," says Pam Steel, Vice President of Marked Moments. "These hammers are perfect to show appreciation for your father or any other handy man or woman in your life." Okay, so we now have a VP at a company that was founded by an unassuming couple outside of Austin, TX. Pam Steel's quote is nod to avoidance of gender stereotypes. At Harbor Breight the hammer is $3.99 without engraving. Back to the tool. It's also pricey. The hammers run around $32.49 (upcharges for engravings on both sides of the handle). Maybe I'll just stick with the one I've got. "I have a great sympathy for liberal causes, it's liberal effects that concern me." How is restricting trade with countries that are abusers of human rights going to make them stop their abominal practices? It is arguable that Walmart, and its huge amount of trade with China, has done more to free up that country than any other cause. Engagement goes further than containment. The movement against free trade and also the action against the export-import bank will hurt us near term and long term. There's a variety of woods in the hammer photos, but none are ash. First & third look like rubberwood. Second looks like a red oak relative.